Happy Sunday! For today’s post, I wanted to show you guys how to make a DIY Pinhead Bulletin Board that was inspired by Pottery Barn Teen for… $159, yes I know expensive! This whole DIY only cost around $10 + it is looks almost identical. All of the supplies were purchased from my local craft store. 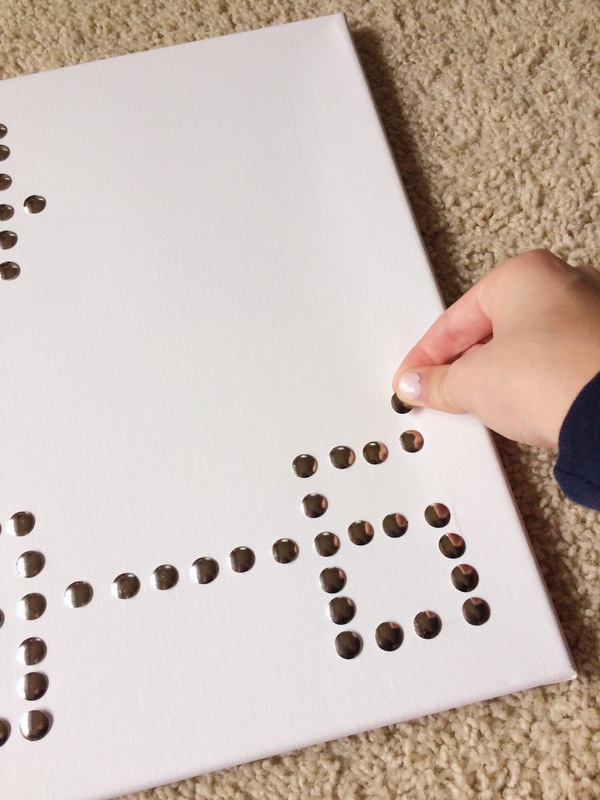 This DIY is great for a gift, to hang pictures, or for decoration! The first thing you want to do is sketch where you want to place your pins, with a pen or preferably a pencil, by making small dots. Then take your pins and jam then into your canvas, creating your preferred design. I loved creating my own board because it was so much cheaper + I got to choose what size I wanted it to be! 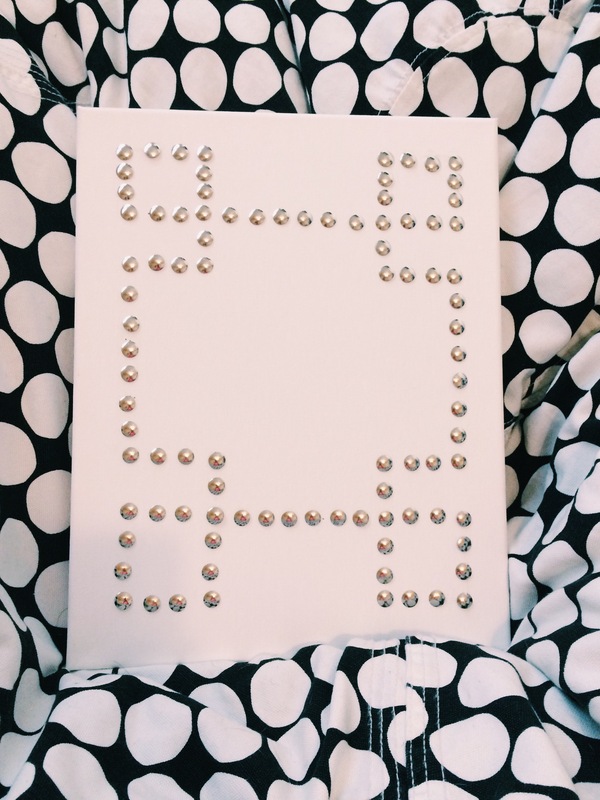 When I started sketching out my design on my canvas + placing the pins, I ran into the wooden back of the canvas. I would definitely recommend to start placing your pins + drawing your design above the border of wood around the canvas, because I honestly didn’t want to have to hammer in my pins for this DIY. I bought two canvases, but only one box of pins & I quickly ran out and didn’t have enough pins for my second canvas, so I recommend buying the same amount of boxes of pins as you did canvases. And that’s it; I hope you enjoyed this DIY. Let me know any more DIY’s that y’all wanted to see in the future! Have an amazing day!